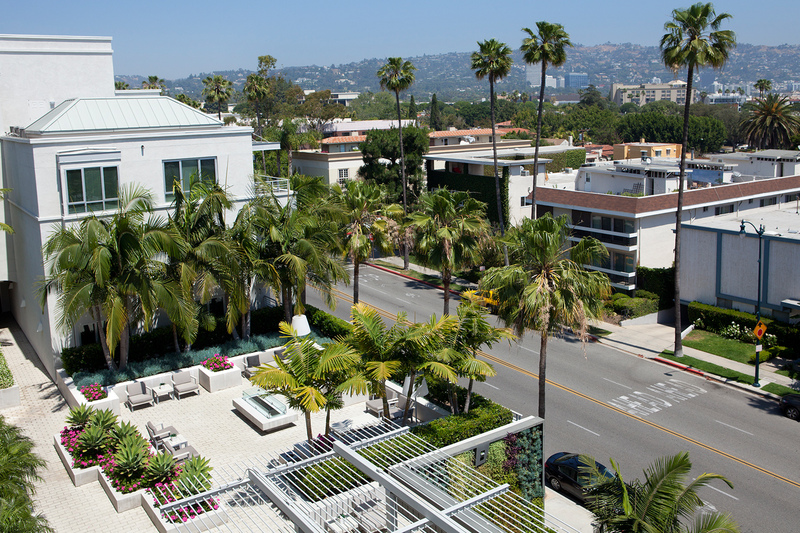 Extensive architectural and exterior remodel for exclusive contemporary extended-stay apartments in Beverly Hills, designed in collaboration with Koning Eisenberg Architects. 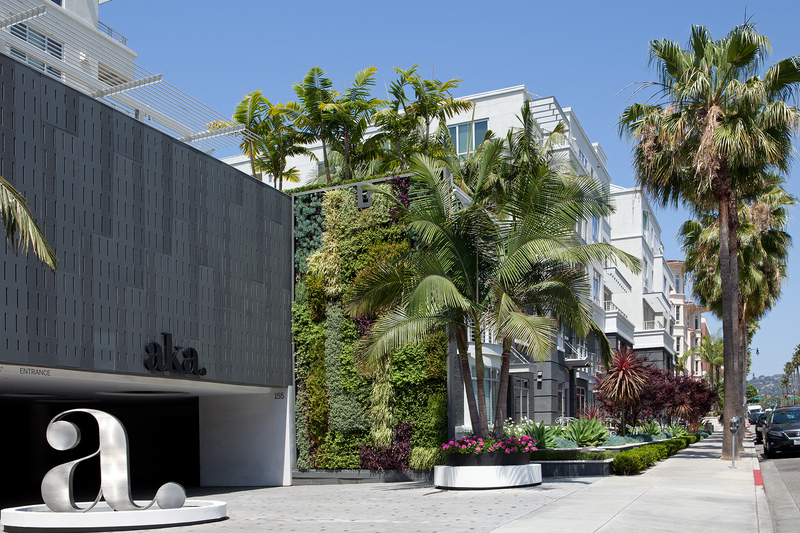 The new entry is flanked by lush green walls and a signature water feature. 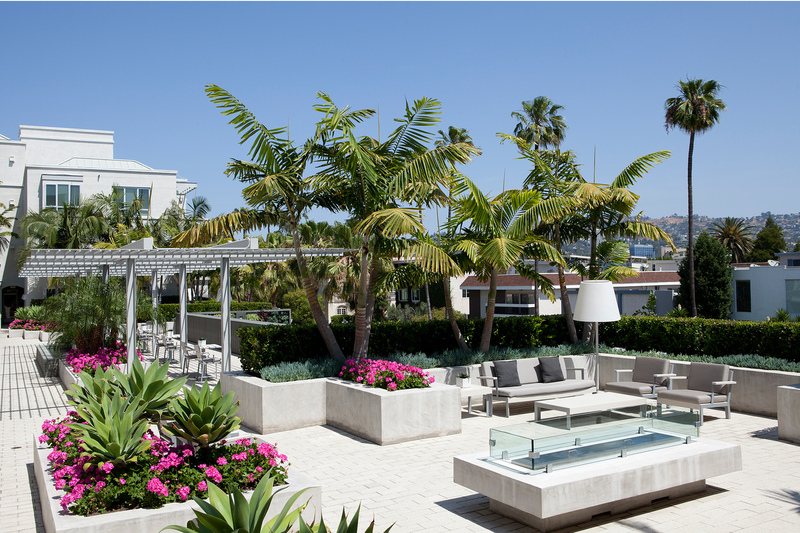 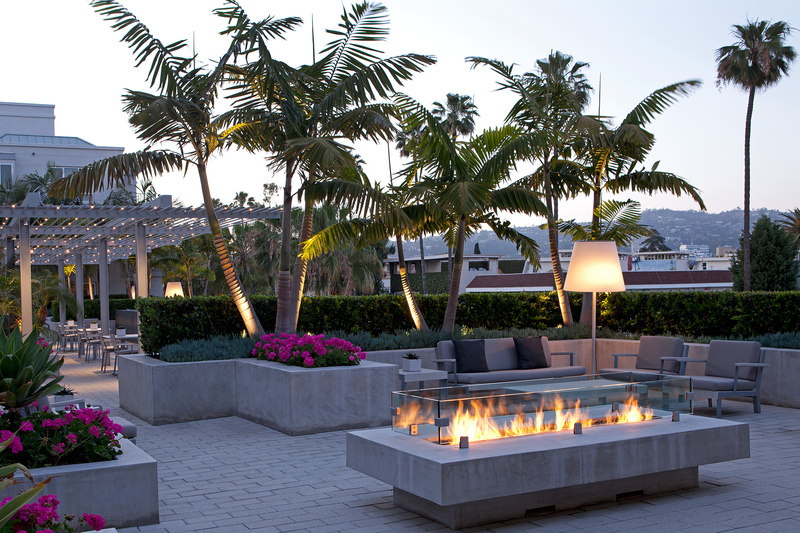 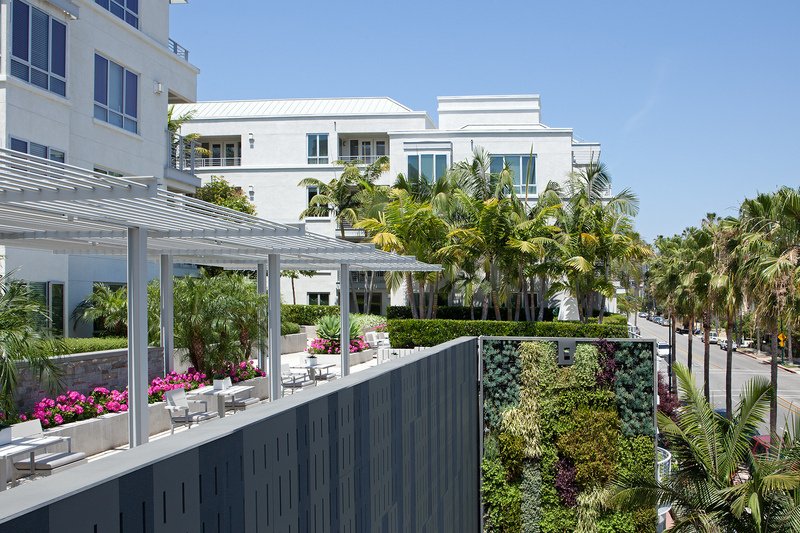 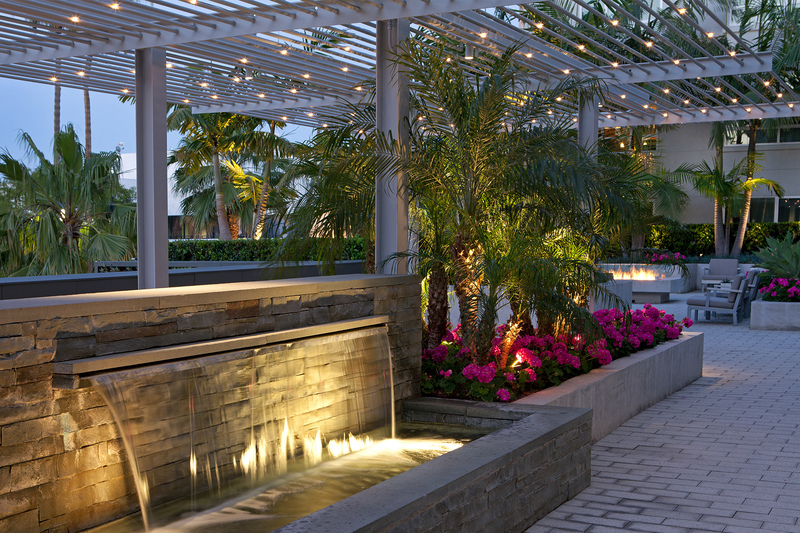 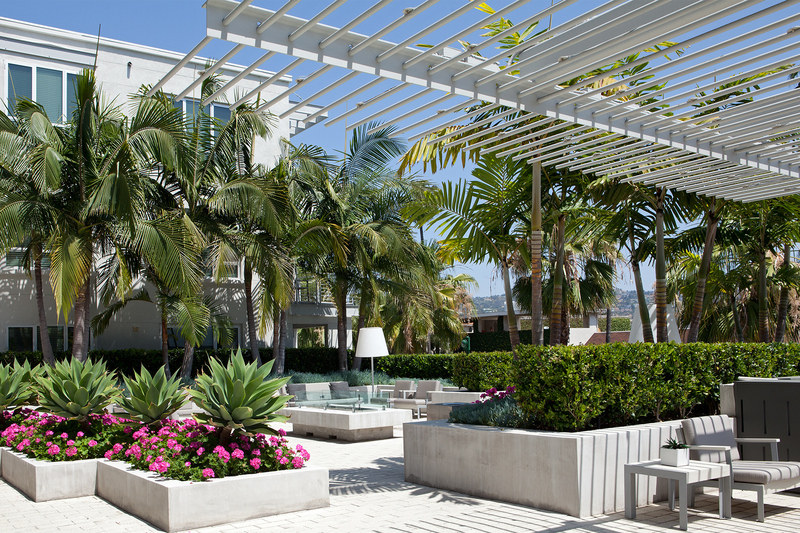 New podium level gardens feature private garden courtyards and outdoor living rooms. 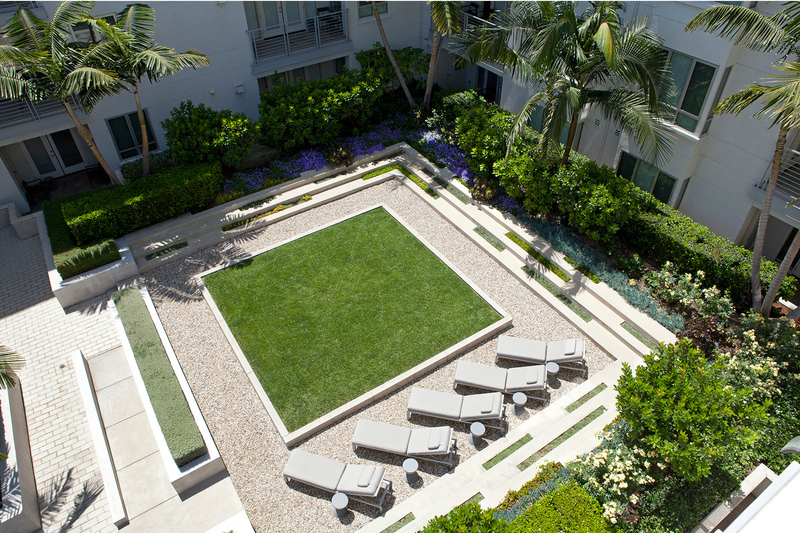 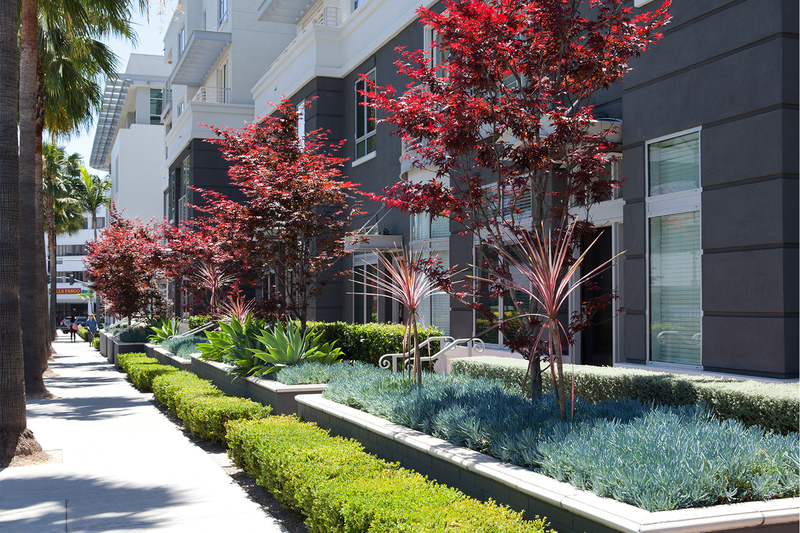 Landscape amenities include new water features, a sun garden with a sunbathing lawn and a putting green, a shade garden with private seating nooks and lush plantings, and two outdoor lounges with fire tables and comfortable seating.